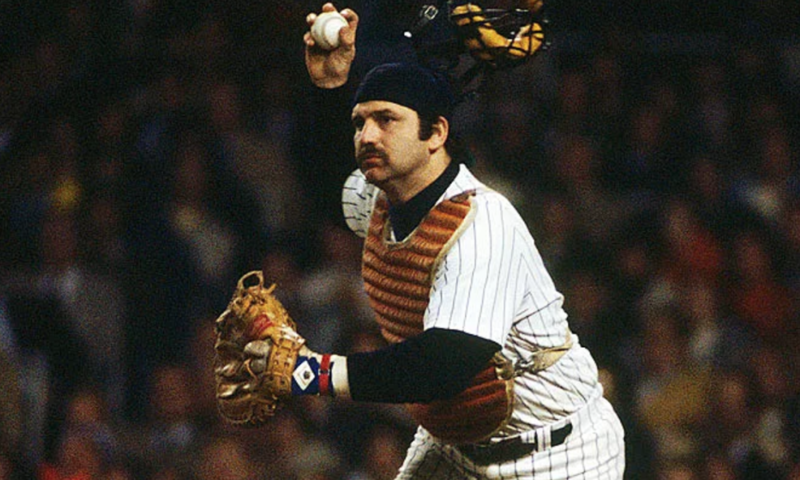 The career of Thurman Munson was marked by high expectations the moment he was drafted in the first round of the MLB Draft by the New York Yankees in 1968. He became a pillar of team yet his life was tragically cut short at the age of 32 in 1979 when the private jet that he was piloting crashed. Munson had built an impressive array of statistics in his 11 years of professional baseball. He began his career in the majors and became the “Rookie of the Year” in 1970. His statistics included a .302 average for that year. Munson was on seven all-star teams and the MVP in 1976. Munson also became the Yankees team captain who led them through three back-to-back World Series and finished as champions for two of them. A hallmark of Munson’s career was the grit and determination that he showed at every game. Munson’s father had instilled in him to dig deep and keep going regardless of the situation. Many fans believe his grit is what turned the New York Yankees around to become the powerhouse they are today. It would surprise many readers to learn that Munson is not a member of the Baseball Hall of Fame. His induction would have seemed a given for a player with his statistics. This was a career also included an over 300 batting average for three consecutive seasons and three Golden Glove awards. The Hall even waived a five-year waiting period to allow Munson to be considered in 1981’s voting, but he did not garner enough votes to be inducted. He remains eligible to be considered for other periods of consideration. Munson may not have received the necessary votes for entry into the Hall of Fame because of his relationship with the press. Munson and the reporters who covered baseball were not on good terms. The Baseball Writers’ Association of America votes on the potential inductees to the hall. Baseball philosophers believe the competitiveness and hard-bitten attitude Munson with some members of the press came off as difficult during his playing years. The New York Yankees players have a tradition of handing out nicknames to their favorite teammates. Munson’s nickname was, “Squatty Body.” You might think it was for a guy who spends the entire game squatting behind home plate, but it wasn’t. Munson’s large frame and solid build is why he got that name. Munson stood 5’11” high and weighed in at 195 pounds. Munson sported a large handlebar moustache outlining full jowls and a head topped with wild hair through his career. Lou Piniella (Sweet Lou) was once reported to have told the bus driver at Florida Spring Training to stop at Sea World so they could let the Walrus off. Other writers noting Munson’s enormous drive to win once called him a “possessed walrus.” Piniella’s comment was in good fun among teammates. Sweet Lou was one of Munson’s buddies who gave a eulogy at his funeral. Munson’s locker was kept empty until 2008 when the team moved to its new stadium. The locker was relocated to the Yankees’ museum after the move. The museum is a part of the stadium complex. Possible Hall-of-Famer and recently retired team captain Derek Jeter, had the locker next to Munson until the stadium move. The contents of Munson’s locker were bronzed and donated to the Baseball Hall of Fame.